The Pittsburgh Steelers' Alejandro Villanueva has become the top-selling NFL player in terms of merchandise after he was photographed standing alone with his hand over his heart during the national anthem on Sunday, a representative for the Fanatics online store told ABC News. Villanueva's gear -- including jerseys, t-shirts and other name and number apparel -- saw an increase in sales across the entire Fanatics platform, including the NFL Shop, since Sunday's game, the Fanatics representative said. The offensive tackle said he will donate all of the proceeds from his number 78 merchandise to military non-profits, as he has done in the past, according to ESPN's Adam Schefter. Villanueva stood alone during the national anthem while the rest of his team stayed in the locker room instead of making a gesture on the field. Other NFL players, owners, and teams have recently participated in peaceful protests during the anthem by locking arms, sitting or kneeling, drawing ire from President Trump. 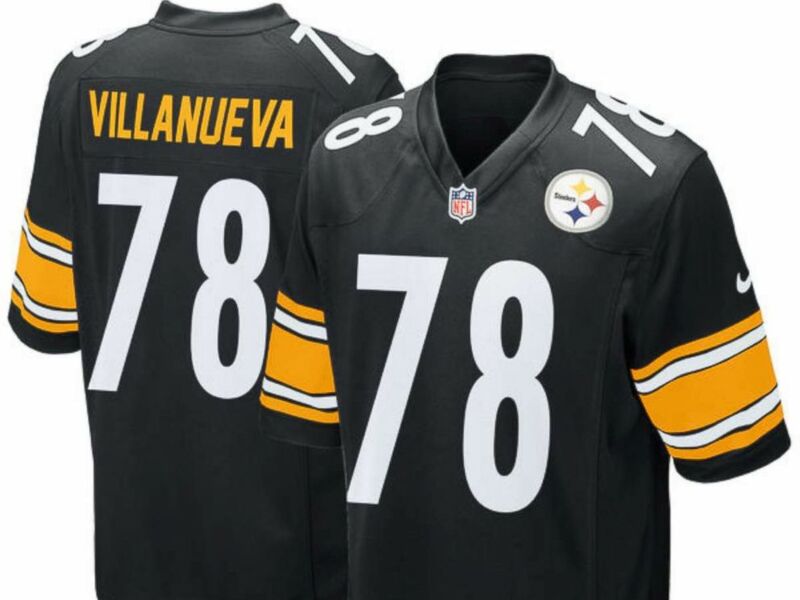 Pittsburgh Steelers Alejandro Villanueva's jersey. Villanueva, a former U.S. Army Ranger who served multiple tours of duty in Afghanistan, spoke about the pre-game incident during a press conference after the Steelers' 23-17 loss to the Bears. Villanueva explained during the press conference that because he had served in the armed forces and "pretty much that my life is lived through the military," he had asked the team's quarterback if he could stand and watch the anthem from the tunnel that leads to the field. Villanueva clarified that the entire team didn't know he planned to stand outside and would have stood with him, had they known. He apologized to his teammates, coaches and the league for any negative connotations brought by his actions. "I would say that my personal thoughts about the situation is that regardless of this plan, very few players knew that I was going to the tunnel because I only asked the team leadership," Villanueva said during the post-game press conference. "And because of that, I did not give them an opportunity to stand with me during the national anthem. That is the very embarrassing part of my end in what transpired because when everybody sees an image of me standing by myself, everybody thinks that the team, the Steelers, are not behind me, and that's absolutely wrong."